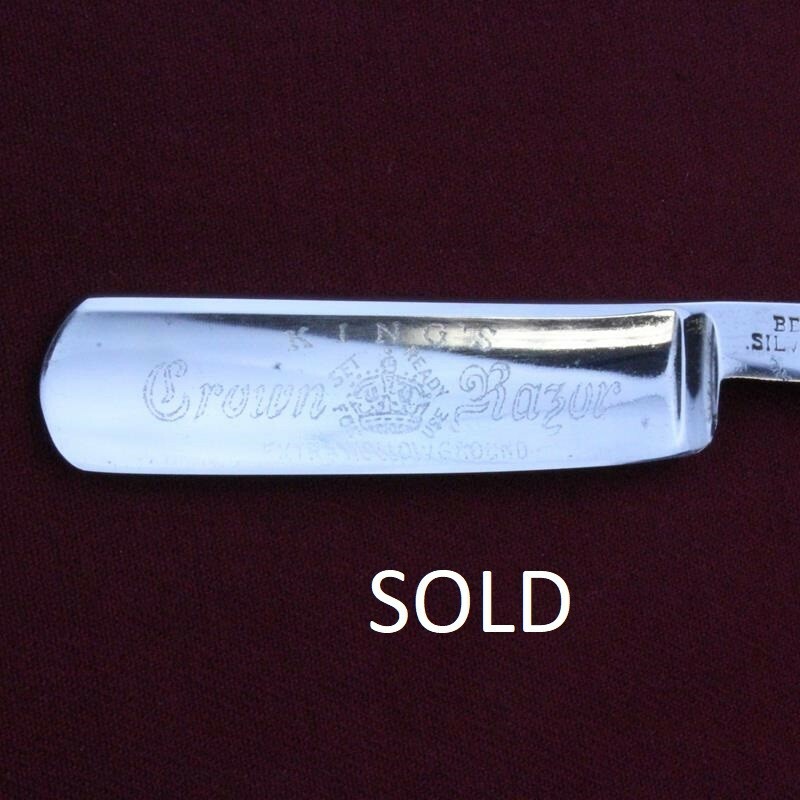 This extra hollow ground King’s Crown razor is a 6/8 size manufactured in Solingen Germany using Silver Steel. 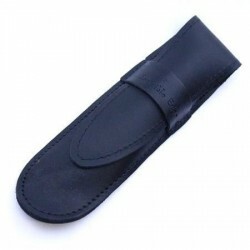 The blade bears attractive etching and has jimping to the upper and lower tang. There is hone wear evident and some signs of historic corrosion on the reverse side but overall the condition of the blade is good. The black composite scales have slight signs of discoloration through light exposure and some scratching but otherwise the scales are in reasonable condition. 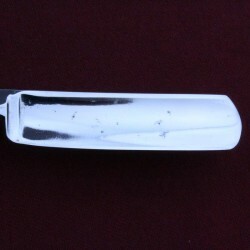 The razor has been honed and is shave ready. King’s Crown is a mark historically associated with the Weyersberg family who have been involved in cutlery for 500 years. 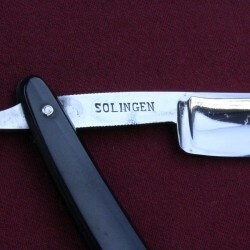 For the first few hundred years the blades, made in Solingen, Germany were for swords. 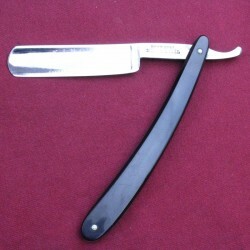 As times changed, the Weyersberg family transitioned into making straight razors. 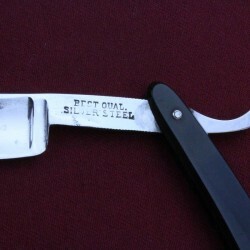 The brand is still used today for men’s grooming products including straight razors by a member of the family.